High-rise state housing blocks had communal washhouses and washing lines on the roof. These are the Dixon Street flats in Wellington in 1943, the year they were built. 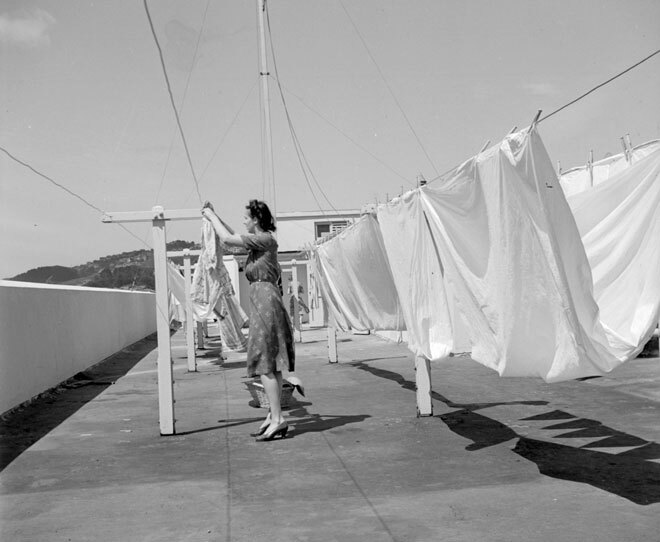 This was a promotional photo intended to show that Monday washday could still take place in a high-rise building.